With this multi-hole black Canopy, you can create compositions up to 3 cables. 3 Holes Black Cylinder Canopy Kit. 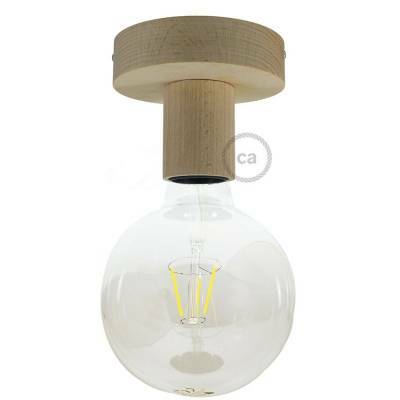 Natural Fermaluce, the natural wood flush light for your wall or ceiling, 3.8".